Earlier this month we welcomed 40 QRoutes Users from as far afield as North Tyneside and East Sussex to our User Group Meeting in Birmingham. QRoutes User Groups are an opportunity for the community of school transport planners to compare notes, and share challenges and successes. And this, the third, was the biggest and best yet. The day started with a presentation from Adrian Weissenbruch of Wiltshire County. Adrian gave an overview of the context in Wiltshire, a rural county with 1112 SEND clients attending 153 different schools and 290 passenger assistants. The team first applied QRoutes to Wiltshire College, a post-16 college, and was able to reduce the contract by 3 vehicles (23%) with initial savings of around £60k. Initial results suggest QRoutes will save them 37% of vehicles for a second school. Another key outcome for the team is the time saved. QRoutes helps them get the planning done quicker, leaving more time for contract management. We followed with a summary of QRoutes 2.0. Customers have been slowing migrating to this new version over the summer. It has an updated look and feel with improved functionality and new features including peak and off-peak road speeds, mainstream bus stop allocation and improved scheduling to multiple schools. 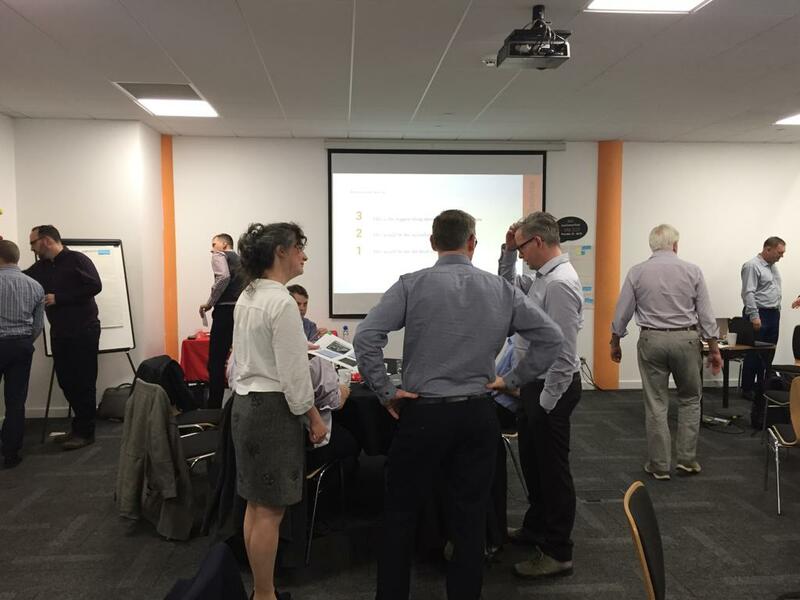 Before lunch delegates took part in a hands-on challenge to use QRoutes 2.0 to find the most efficient way to deliver given journeys using bus stops and avoiding roads which often flood and low height bridges. Well done to Kyle from Barnsley, who was first to find the result! Two other companies summarised their products designed to help QRoutes users. Pax introduced their contract management database system. After lunch, members of the QRoutes team presented on the findings of other local authorities, including the process Pembrokeshire had followed developing new routes from scratch that differed according to the day of the week, coped with exceptions, and grouped schools for efficiency. User Groups are also an opportunity to ask our customers for guidance. It’s all too easy when developing software to make assumptions about what is useful rather than taking the time to understand what is needed. So at these events, we get Users to vote on features in the development ‘backlog’. We use these votes to prioritise the work to make sure we deliver the most useful features first. The day closed with a presentation from Dylan Owen, Leeds. The Leeds team has several drivers for change, including rising per client costs, a need for improved passenger experience, and a need to standardise the planners’ approach across the team for more robust plans with fewer last minute changes. Improved passenger experience by keeping ride times down was a fitting note on which to end the day. All the talk of efficiency and budgets can obscure the fact that planners enable children to get to school; among their clients are vulnerable families coping with difficult situations. Transport is the vital link for opportunities for children and respite for carers. It’s good work and should be recognised as such. Big up the planners!